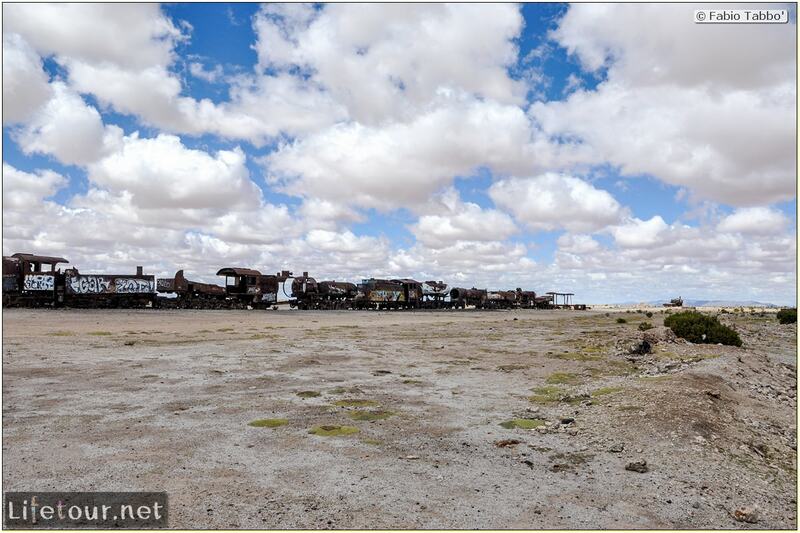 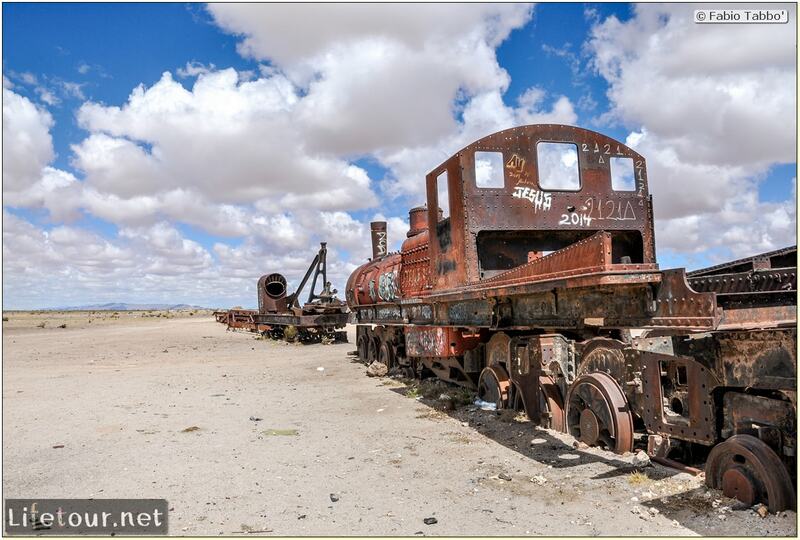 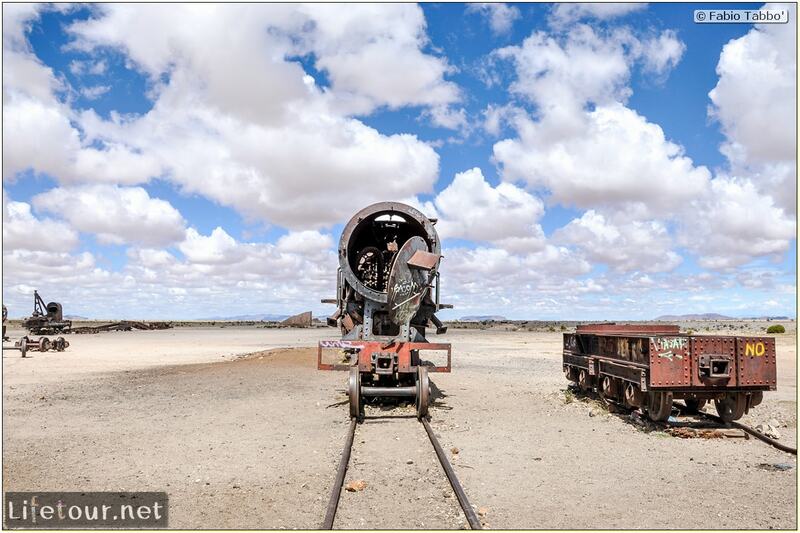 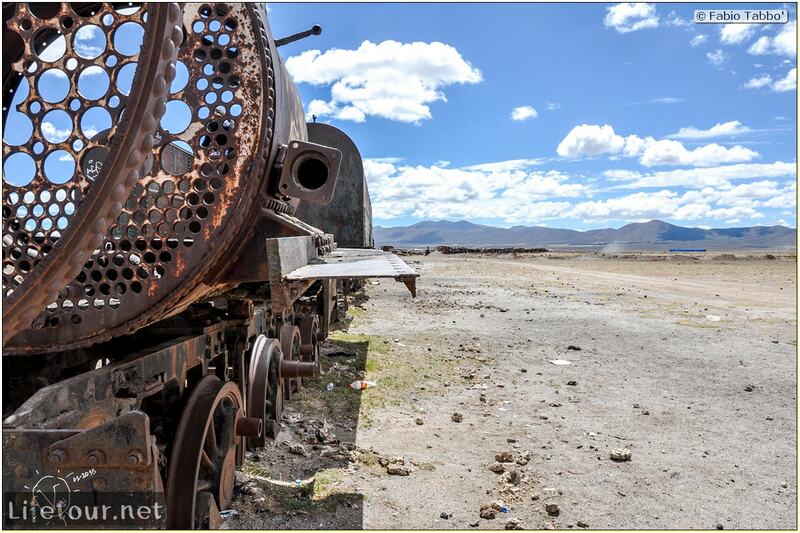 Also known as "Train Graveyard", it is located about two miles out of Uyuni city beneath the blazing sun of the Atacama Desert. 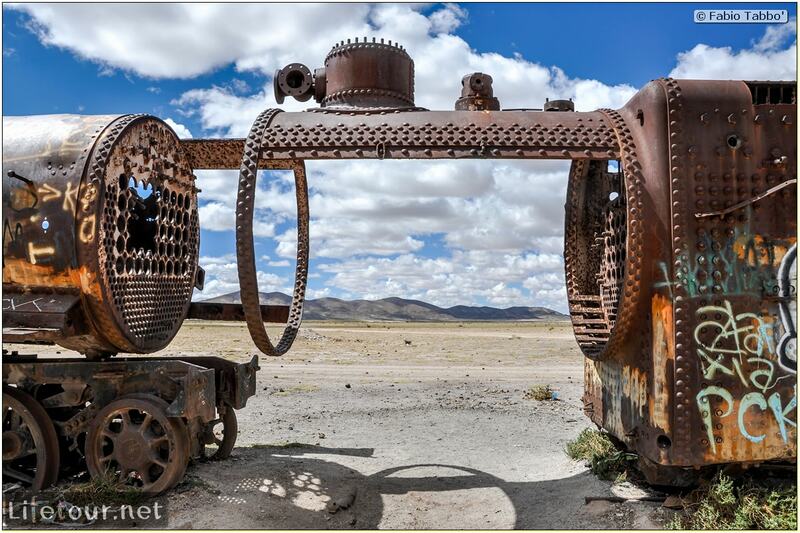 The engine graveyard boasts a variety of steam locomotives abandoned since the 1940s, when the mining industry collapsed in the region. 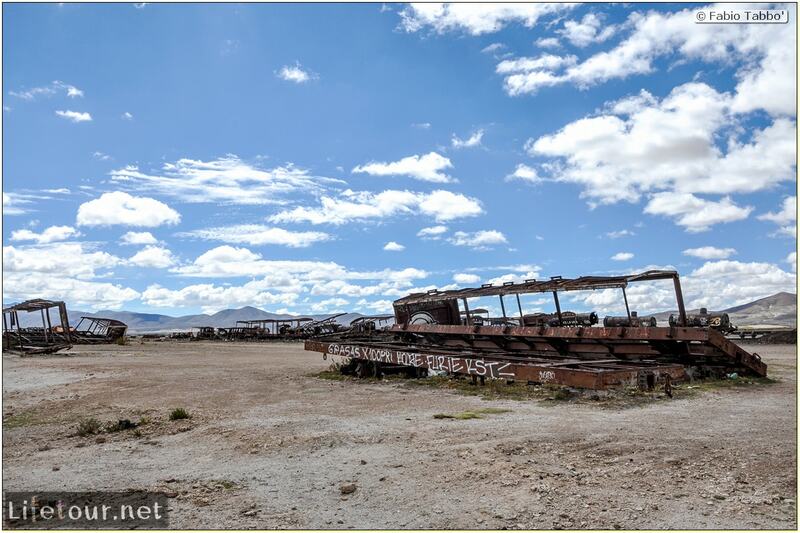 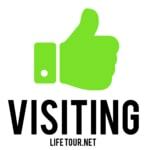 A nice appetizer before the actual excursion to the Salar de Ujuni: most tours will stop here for an hour, before continuing to the lake itself. 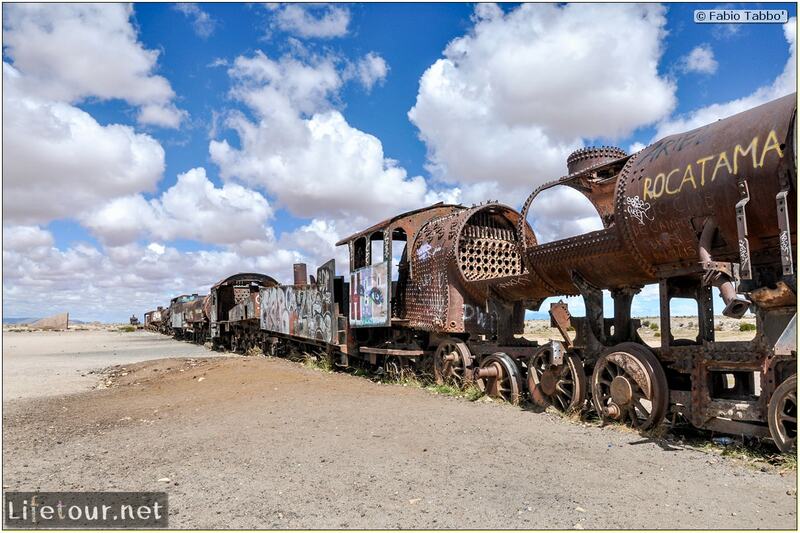 It is a train graveyard, full of old steam locomotives from the ‘40s, awesome!! 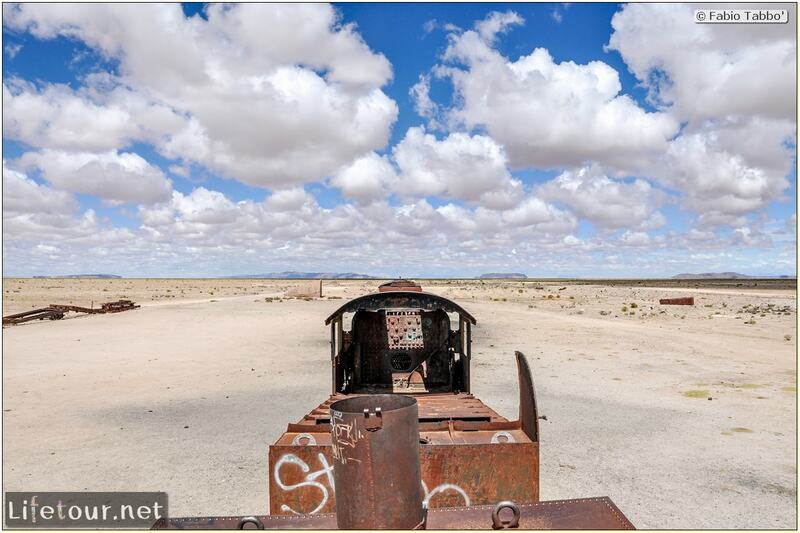 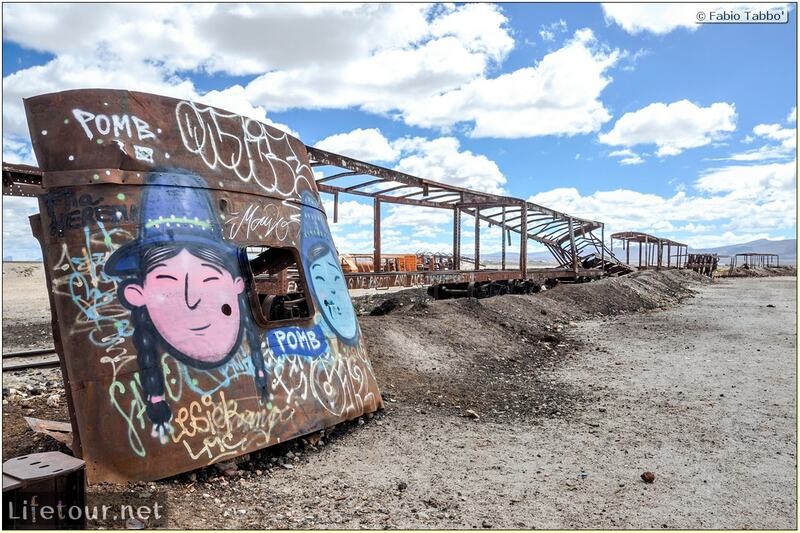 I love ghost towns, so train/car graveyards are big favorites of mine. 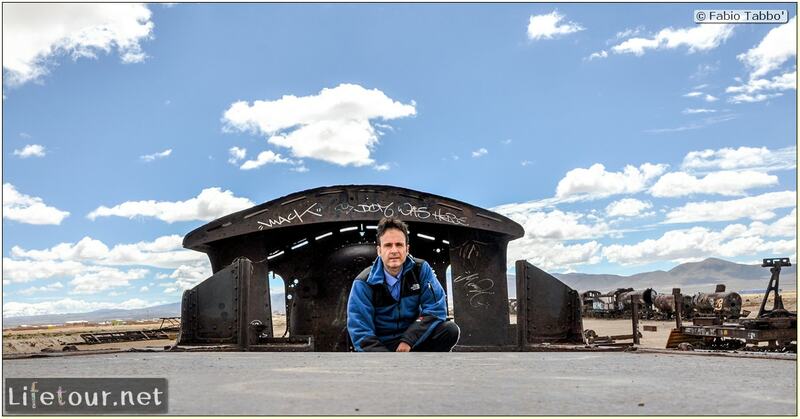 By the way, if you like this type of places as well, check out a nice car graveyard in the jungles of Tayrona (Colombia, or watch it my “Jungles” video) – and I also made a specific compilation of abandoned cities in my “Ghost Towns” movie.